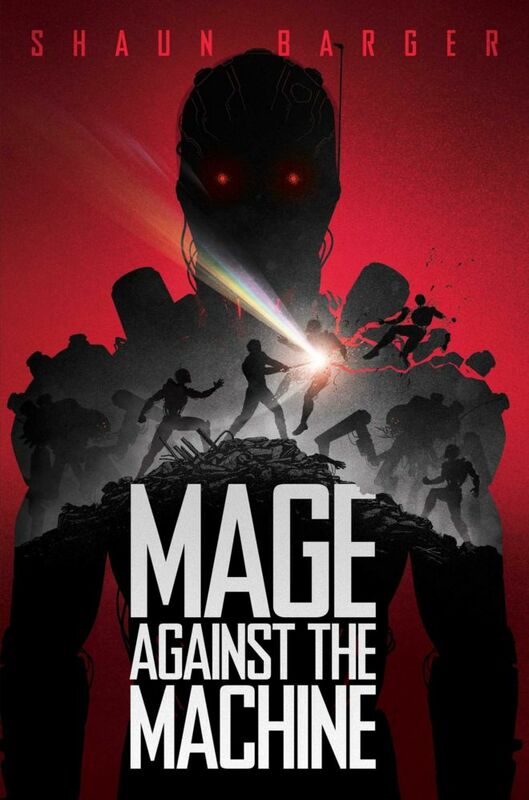 Mage Against the Machine is like what would happen if Harry Potter and The Terminator had a love child. Interested? Check out our exclusive excerpt! Our hero, Nik, is about to have his world turned upside down, but before we get there, you must first read this intriguing excerpt from Mage Against the Machine by Shaun Barger, which features Jem and some very precious cargo. The stakes are unbelievably high. The year is 2120. The humans are dead. The mages have retreated from the world after a madman blew up civilization with weaponized magical technology. Safe within domes that protect them from the nuclear wasteland on the other side, the mages have spent the last century putting their lives back together. Nikolai is obsessed with artifacts from twentieth-century human life: mage-crafted replica Chuck Taylors on his feet, Schwarzenegger posters on his walls, Beatlemania still alive and well in his head. But he’s also tasked with a higher calling—to maintain the Veils that protect mage-kind from the hazards of the wastes beyond. As a cadet in the Mage King’s army, Nik has finally found what he always wanted—a purpose. But when confronted by one of his former instructors gone rogue, Nik tumbles into a dark secret. The humans weren’t nuked into oblivion—they’re still alive. Not only that, outside the domes a war rages between the last enclaves of free humans and vast machine intelligences. Outside the dome, unprepared and on the run, Nik finds Jem. Jem is a Runner for the Human Resistance. A ballerina-turned-soldier by the circumstances of war, Jem is more than just a human—her cybernetic enhancement mods make her faster, smarter, and are the only things that give her a fighting chance against the artificial beings bent on humanity’s eradication. Now Nik faces an impossible decision: side with the mages and let humanity die out? Or stand with Jem and the humans—and risk endangering everything he knows and loves? Mage Against the Machine by Shaun Barger is available wherever books are sold! You can order it on Amazon, Barnes & Noble, and IndieBound, or add it to your Goodreads list.